The internet is awesome. From the Marine in Afghanistan who can Skype home to Alabama to help his wife tuck his kids in, to the incredible amount of free, crowd-sourced information on sites like Wikipedia, to the connective power that social media has provided, even to the point of helping taking down unjust dictatorships, it has been an incredible force for good in our world. But the internet is also terrible. The combination of anonymity, a perceived soapbox, and the belief that there is real connection between opinion makers and mothers’ basement dwellers has surfaced an ugliness that has meted mob justice (sometimes incorrectly), harassed people, hacked into cell phones and shared private photos, and said horrible things that I’m not even going to hyperlink to. The internet has developed a word for the people who perpetuate such ugliness, trolls. It is evocative and accurate. Some of these trolls become well known. Others shift from user name to user name and IP address to IP address to guard their secrecy. By and large, trolls are terrible and most websites are powerless to do anything about them. But, a recent Gizmodo post reminded me of an individual that took on trolling in the only way that might actually work, by trolling the trolls. 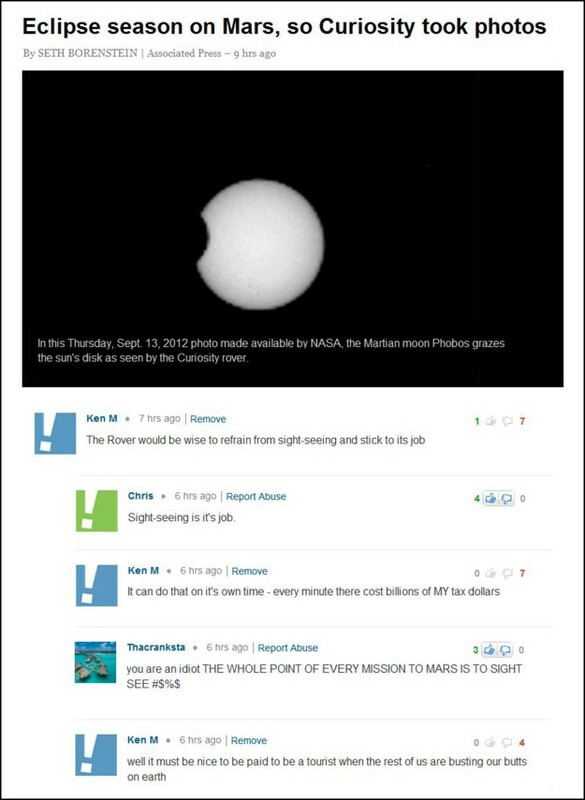 I love Ken M for three reasons. First and foremost, he makes me laugh. Like big dirty, laughs. Second, he’s not mean spirited. Sure, he’s pulling these folks leg and we’re having a laugh at their expense, but he’s part of the joke too, and there is no nastiness in what he is doing. 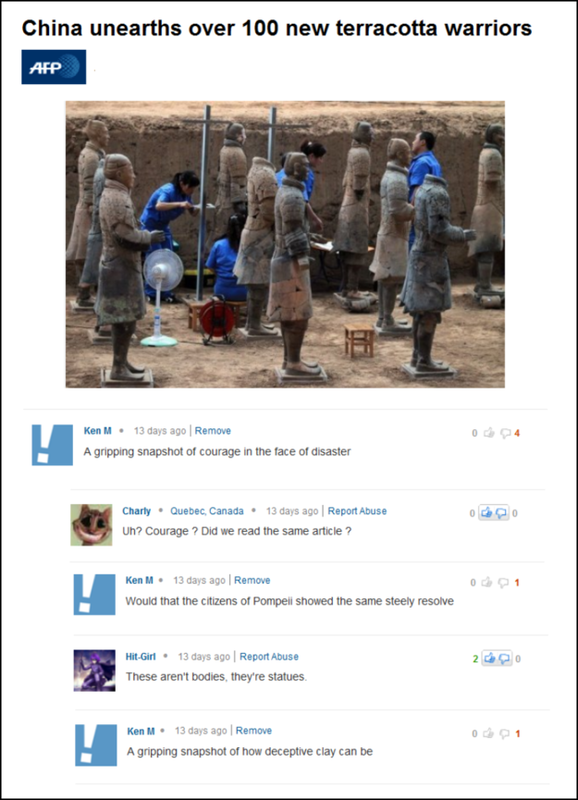 Finally, like all great comedy, Ken M’s shtick is rooted in something true—it is stupid to argue on the internet. It is stupid to argue on the internet, and only by watching a stupid person argue on the internet can we fully appreciate just how stupid it is to argue on the internet. So I’d like to nominate the pedant-baiting, Mars Rover-chastising, Pompeii-defaming, National Geographic-baking, Ken M for the Al. Hope he made you laugh as hard as he made me. This entry was posted on Friday, October 30th, 2015 at 10:10 am and is filed under Uncategorized. You can follow any responses to this entry through the RSS 2.0 feed. You can leave a response, or trackback from your own site.